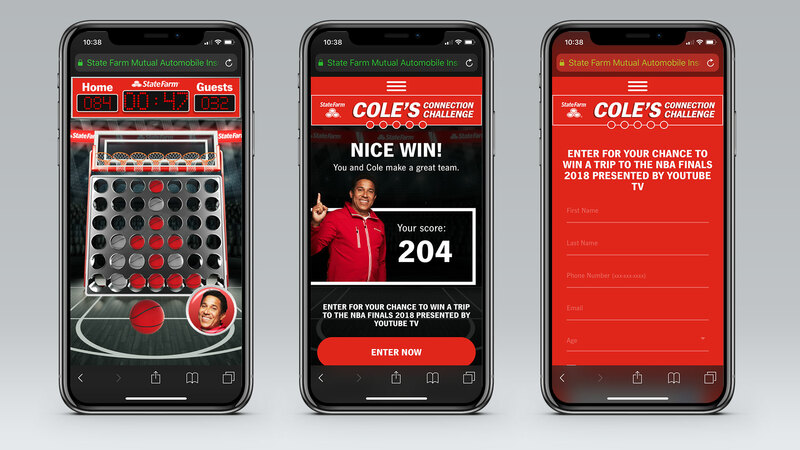 The Marketing Arm hired Groove Jones to create an HTML 5 game for their client State Farm as part of State Farm’s promotional campaign with the NBA. 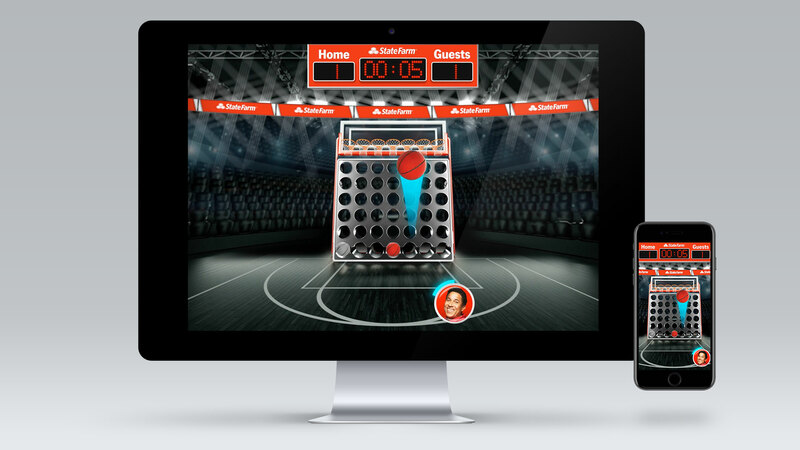 The game allowed basketball fans to play the web browser based free throw game on either their mobile device or on their laptop/computer. The game was a two-player game where the fan competed against an AI (artificial intelligence) player. Gameplay consisted of throwing the ball into one of the seven basketball hoops in an attempt to make a connecting straight, horizontal or diagonal line of 5. Players could attempt to block plays by making a shot before the other could complete their throw. The game featured State Farm Agent “Cole Perez” played by Oscar Martinez from the Office fame. Every player also had the chance to enter a sweepstakes for the chance to win a trip to the 2018 NBA Finals. Players could use a special power-up from Agent Cole, by tapping the Agent Assist button. If pressed, the player would get in the zone and slow down their opponent for a period of time, giving them an advantage. 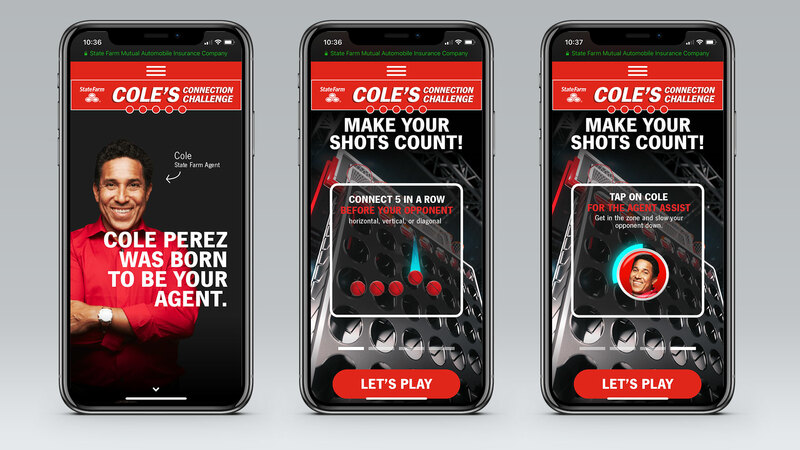 The game also included a social share component, allowing players to share the game with their friends on both Facebook and Twitter. Below is an overview of the gameplay, which was available on both PC and mobile devices.